Okinawa has a thriving alcoholic beverage industry and produces not only awamori, the traditional drink of the Ryukyu Kingdom, but also more contemporary forms of alcohol such as microbrewery beers and fruit-flavored wines. On the brewery scene, Orion draft beer is number one, with both a local and an international following. Awamori, distilled liquor with a history dating back centuries, is still popular today with people of all ages and is the beverage of choice at beach BBQs, a time-honored way to enjoy the summer in Okinawa. For more adventurous drinkers looking for something new and creative, innovative products such as sugarcane rum and wine made from locally produced fruit are constantly debuting on the market. 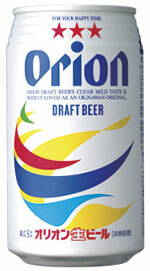 Local beer maker Orion Breweries, Ltd., was established in 1957, during the time of U.S. administration of Okinawa. It was when imported products represented luxury and anything local was considered second class. Now Orion has grown to become the signature beer brand of the prefecture, consumed on all kinds of occasions, from a quiet drink at home to festive events. 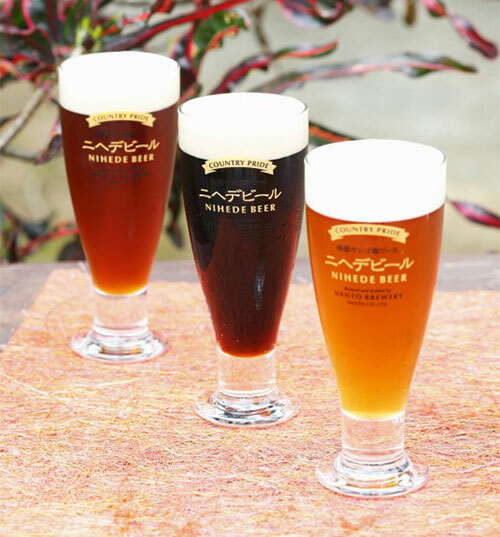 Nihede beer (a Weizen beer) is produced by the Nanto Brewery, which is located in popular theme park Okinawa World in southern Okinawa. Interestingly, the name of this beer is taken from the expression "nihei debiru," which means “thank you” in the Okinawan dialect. Its excellent taste was attested to when one variety of this beer took silver in the World Beer Cup in 2006, the first time Okinawa has won a prize in this competition. There are three types of Nihede beer: Soft (kölsch), Hard (alt) and Black Ale. These beers are starting to appear at local restaurants and can also be purchased at Okinawa World. 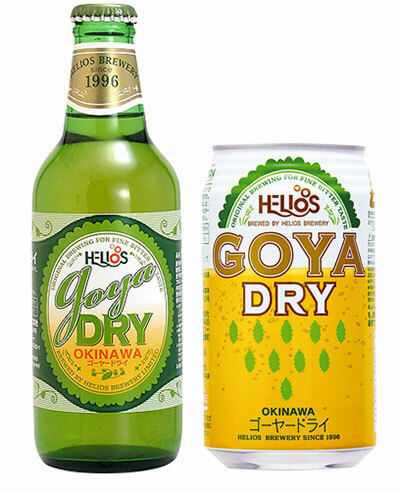 Helios Distillery, Ltd., located in Nago, also produces Weizen-type beer. Goya Dry is an innovative low-malt beer that features a local vegetable, goya, or bitter melon. Other beers among the Helios lineup include fruit-flavored beer, red ale, pale ale, lager (with yeast) and porter. Visitors can enjoy these freshly brewed beers at the British-style Helios Pub situated on Kokusai Dori. The first pineapple winery in Japan, Nago Pineapple Park, started operations in 1992. Its trademark pineapple wine, Lagrima Del Sol (360 ml, 800 yen/720 ml, 1,500 yen), is also available in a bottle with your photo on it (My Wine 2,000 yen). Produced by Grace Rum Co., Ltd., this rare rum is made from sugarcane on Minami Daito Island. Cor Cor Agricole is produced only once a year because the entire process is done by hand, starting from pressing the sugarcane. Sample this tasty Okinawan rum!